Unagi is a modular compositing manager (like xcompmgr) which aims to be efficient, lightweight and responsive. It is currently written in C programming language and based on XCB library client library. 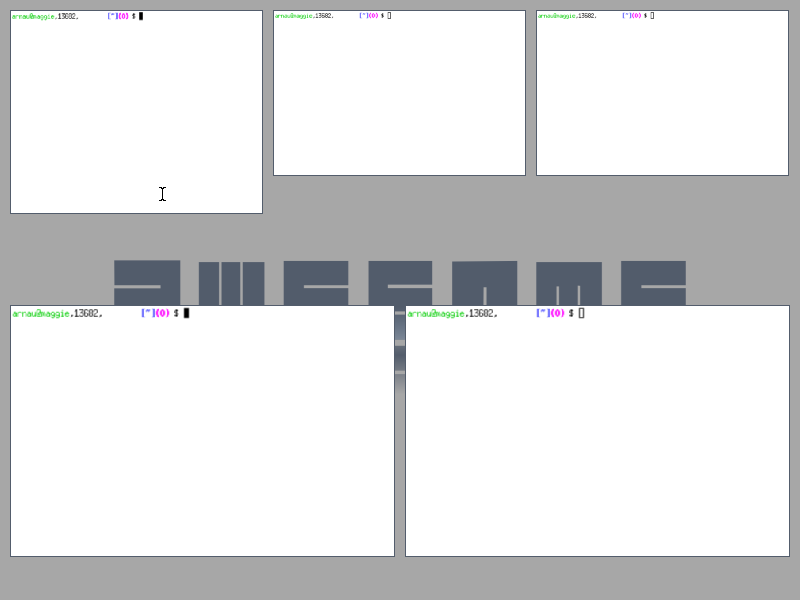 Any existing window manager can be used as long as it implements properly EWMH and ICCCM specifications (or at least parts of it which are necessary), which is generally the case nowadays. 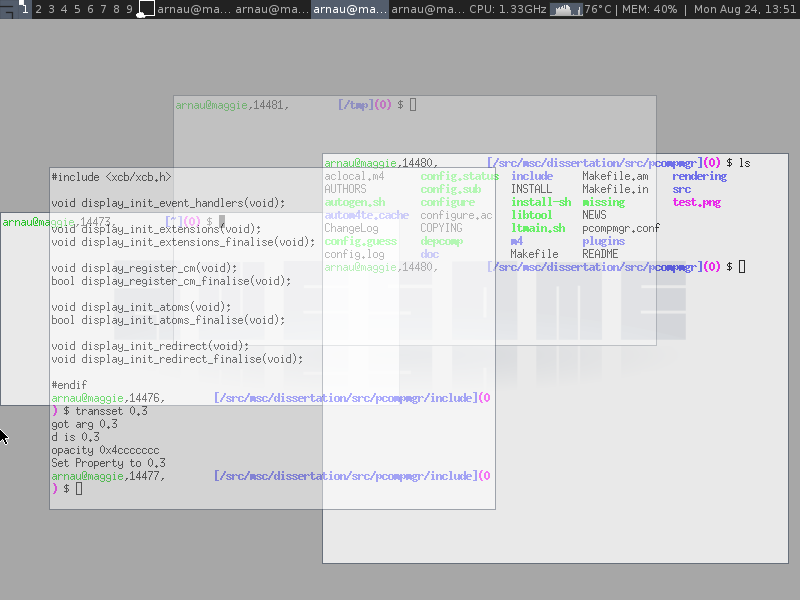 This project also aims to provide a functional and stable software to improve window manager usability from an end-user point of view (for instance windows translucency, application-switcher using live thumbnails instead of plain icons, Exposé), therefore it does not intend at all to provide useless eye-candy effects. Unagi relies on a modular architecture as the code is split up in three parts: core code, rendering backends (only one backend relying on Render X extension has been implemented so far) and effect plugins. Thus, it provides a small and fast compositing manager from a codebase and footprint point of view, besides allowing to easily write other rendering backend which would work better on certain hardware. It also tries to take advantage of the asynchronous XCB model to be able to be used through a network. Debian packages is available officially for the last released version in testing and unstable. In addition of the main package, named unagi, there is also unagi-dev to allow development of additional rendering backends and plugins. Arch package is available from AUR and maintained by Laurent Ollagnier. If you wish to contribute, you can find further information in Master thesis: Writing an X compositing manager and general information about XCB in Bachelor thesis: Porting a window manager from Xlib to XCB. You can also have a look at the documentation generated from the source code available there. 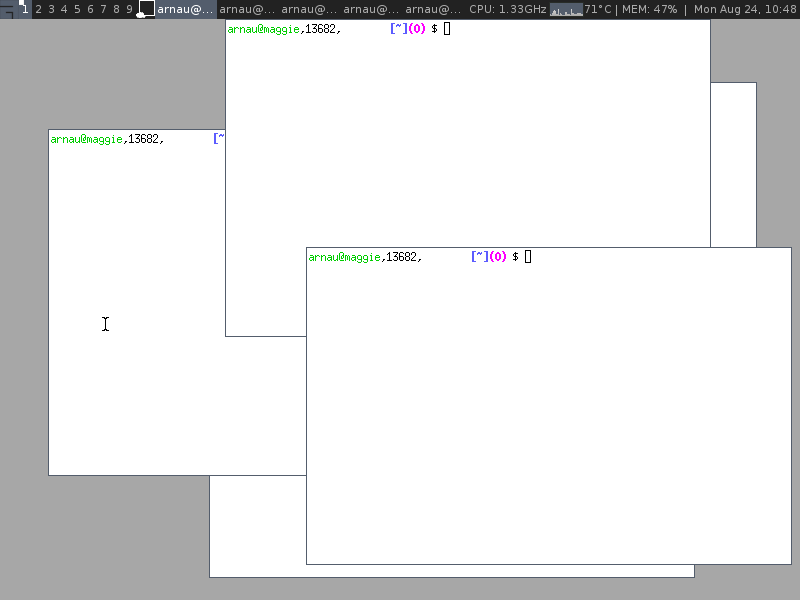 Here are some screenshots of Unagi running with Awesome Window Manager. WARNING: this plugin is currently experimental and is currently very slow and not working well. As soon as all performance issues have been addressed, it will be improved and stabilized (see reported issues for further information).